I love the episodes of Looney Tunes that involve the Hyde formula, including "Hyde and Go Tweet." 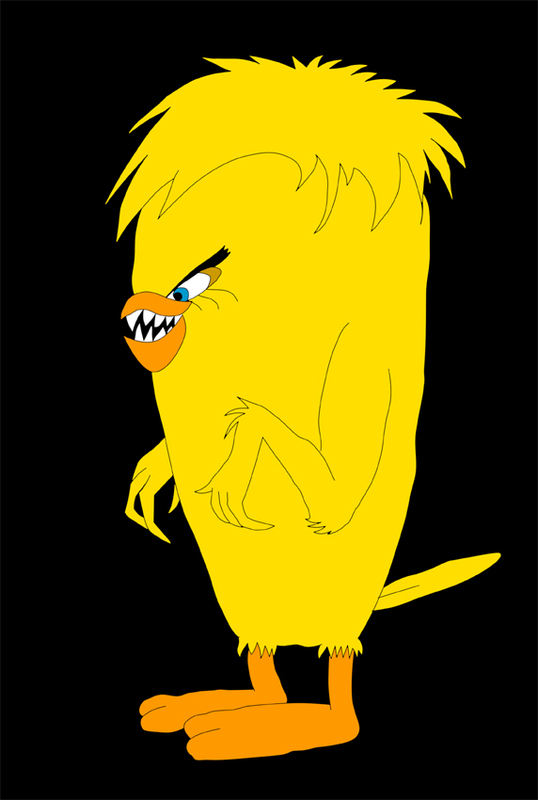 So, here's Tweety Hyde, drawn with pencil and paper, retraced and colored in Photoshop. And I added fangs and slightly sharper fingers because I wanted to, haha!